Vantage Products performs structural foam custom molding, utilizing two (2) Uniloy 2500 ton Multi-nozzle Low Pressure Structural Foam Molding Machines. Mold Design and consultation services are available. Vantage Products performs thin and thick thermoform molding. 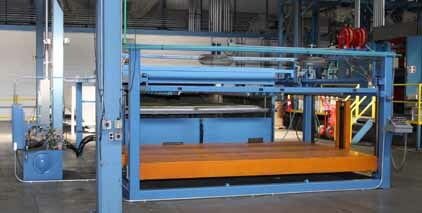 We have a Dual Sheet Shuttle Feed Thermoform Molding Machine. Custom parts and assembly for just-in-time applications. Please contact us for additional specifications or questions about your specific molding needs.